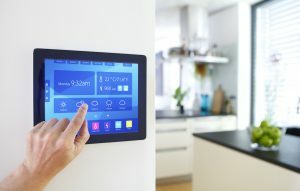 The phrase “smart home” is a catch-all for any residence that uses connected technology to remotely control things like lights, security systems, locks and more. In addition to giving users the ability to manage devices from anywhere via an app, most smart homes also have a central hub that allows one device to trigger actions in another without user intervention. For example, a connected smart home can give you the power to—all at once—lock the door, turn off the lights, adjust the thermostat, activate a security camera and more. These devices can be integrated into one platform and work together to provide you with increased security, efficiency and peace of mind. They can alert you from afar to your kids arriving home from school, a burst water pipe or the completion of your laundry. From your smartphone, you can easily turn off the lights the kids always manage to leave on, or turn off the iron that you forgot to unplug as you hurried out the door. Your devices can even save time by managing tasks like opening and closing shades and watering the lawn only when needed. If you’re looking at purchasing a smart home, you’ll want to make sure you get all of the details in advance. Some features, such as a monitored home security system, will have ongoing subscription costs. While these systems are wonderful for peace of mind, it is important that you factor those fees into your budget before you buy. Ask the seller for an itemized list of any fees associated with the smart home technology. Since a key component to smart home technology is remote access, you’ll need to be sure access is transferred from the previous owners to you. Setting up a transition plan will save you a lot of headaches down the road. Information about the apps that control each device, especially if manuals are missing. Information about any programmed rules or scenes for the devices that are not part of their native apps. A rule might be something like “at dusk, turn on this outlet” or “flash this light every time I get a text message.” A scene is having a phrase like “good morning” set off a series of events, such as the TV turning on, the shades going up, the camera stopping recording and the pot starting to brew. Sites such as Stringify.com or IFTTT.com allow users to create their own rules or scenes; the current owner should disable these before the sale. If any of the devices are associated with a particular email address, make sure the previous owner transfers all ownership to you. Immediately upon purchase of the home, change all passwords and PINs. Do not use anything like a birthday or phone number that might have been revealed to the prior owners during the sales process. The key is to be sure that you understand how everything works and that you have access to all controls of the connected devices in your new home. The last thing you want is to arrive at your new home and not be able to adjust the heat or wake up early to the entertainment system playing music on your day off. The more technology you have in your home, the more chance there is for something to go wrong. Take this into consideration when looking at smart homes. If you are tech-savvy, you may be able to handle the troubleshooting yourself or with the help of online or phone technical support. If technology isn’t your strong suit, you’ll want to stick with homes that have more comprehensive systems installed that include repair and support services. Security systems, such as those installed by a security company or your cable provider, will require less troubleshooting than a system pieced together by the previous owner. Your cable provider may also offer one platform to control the many connected devices, so you can easily manage and control each from anywhere. Do ask the seller if there are any active service contracts on any of the devices. If you can get the purchase dates for warranty purposes, that may also help you in the future. 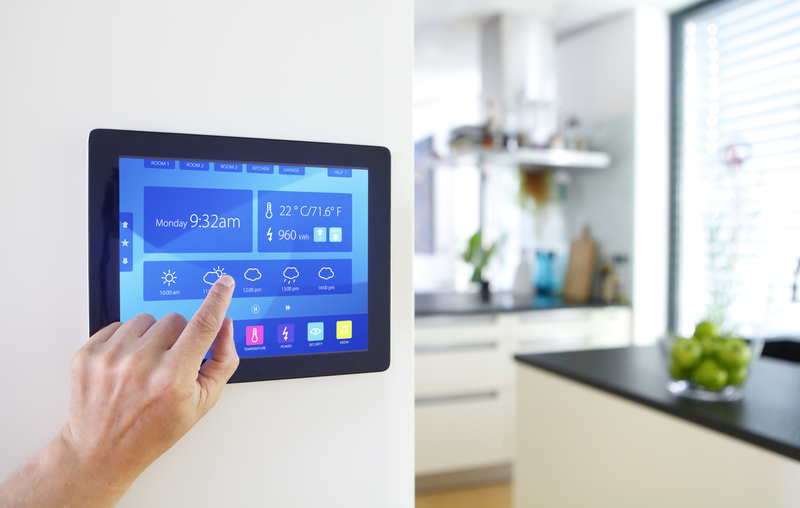 Purchasing a home with smart technology can be exciting, but it’s a lot more fun if you go into it prepared so you can make these devices work for you. Don’t forget to do your homework and come out of the sale with as much information as possible. Soon you’ll be enjoying the security and ease of your own smart home, and you’ll be ready to customize it just for you. Christy Matte is a mother of two and a Boston-based writer who covers home security and home automation for XFINITY Home. She is also a die-hard techie who blogs at QuirkyFusion.com.